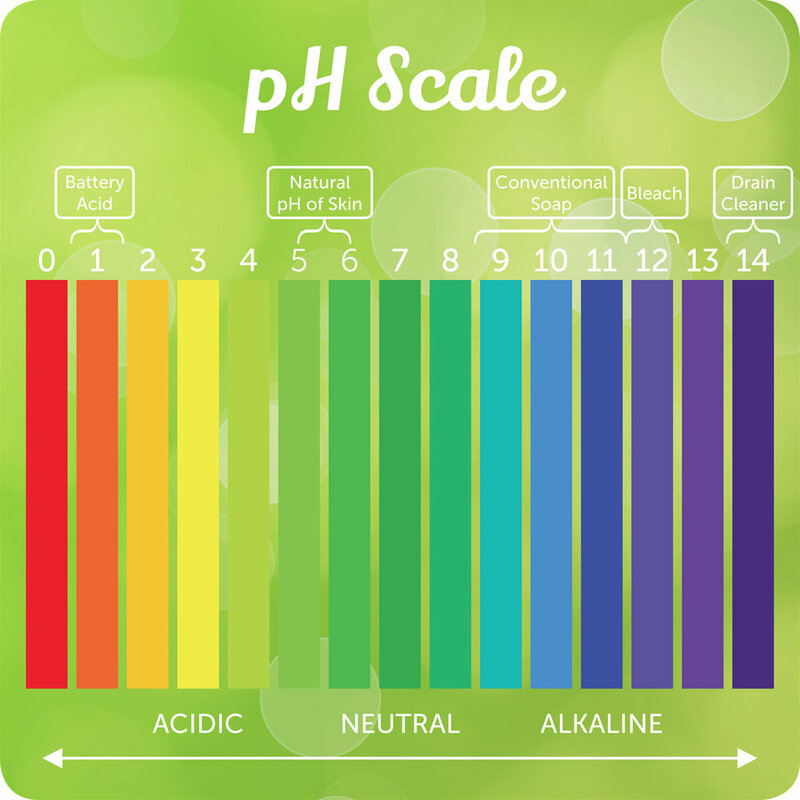 pH, which stands for "potential hydrogen," is a measurement used to describe the acid to alkaline ratio of something. The scale ranges from 0 (the most acidic) to 14 (the most alkaline). pH balance is employed by the body using the skin's "acid mantle", which is a very fine, slightly acidic film on the surface of the skin. The film of the acid mantle is secreted by the microscopic "sebaceous glands", which secrete the film at a pH level between 4.5 and 6.2, with a median of 5.5. They appear in greatest number on the face and scalp, which is why properly pH balanced hair and skin care products are so crucial! pH level plays a very important role in cosmetics due to your skin and hair's general health and appearance being directly linked to maintaining a proper pH balance. All Honeyskin Organics products maintain a heavily monitored pH balance of 5.5. The only exception to our rule of 5.5 is our Microdermabrasion Scrub, which is balanced at 4.5 pH because it needs the added kick to remove an extra layer of dead skin, without causing any extra harm to your skin.